The big question here, is, assuming these vendors are Orthodox and probably Heimishe (as the vast majority of Stam vendors are), are they acting out of ignorance or greed? While this forum is not supposed to be in any way antagonistic towards other sofrim or sochrim, and certainly if Benyomin had posted names I would have removed them immidiately, nevertheless I think this is a big eye opener and definitely worth bringing to everyones attention. If halacha points in one direction, why are the vast majority of torah observant vendors doing the opposite? Again, this is not to G-d forbid judge or rebuke anyone, just to bring attention to what probably needs to be addressed by the proper authorities. If anyone has any insights or personal experiences on this matter it would be appreciated if you could post them. I think you should really consider posting the names. Ask a rav. these guys have no yiras shomayim and they are probably the ones who sell the possul fraudulent tefillin and mezuzos to the unsuspecting public. I have a website http://torahscrolls.net . I get contacted several times a month by Reform and Conservative synagogues wanting to buy Torahs. I can completely understand why people are tempted to sell Torahs to them. The average Reform synagogue wants to buy a used Torah. They don't really care if it is kosher as long as it can be read. Such a Torah can be purchased for $4,000-$5,000 and they are willing to pay $15,000-$20,000 for it. "Thank you for contacting me. I am sorry that I cannot help you, but as a policy, I only sell Torah scrolls to Orthodox synagogues where they are treated according to the dictates of Halachah. "I am sorry but I only sell Torahs to Orthodox organizations. Please forgive me for overlooking your previous email. I am very sorry, but as much as I would like to, I am afraid that I can't be of help to you in this matter. As a rule, I only sell Torahs for use in Synagogues which observe Jewish Law (Halacha) as codified in the Code of Jewish Law. I hope that you will understand that I very much esteem your and your family's good intentions in donating a Torah of this kind to your synagogue. 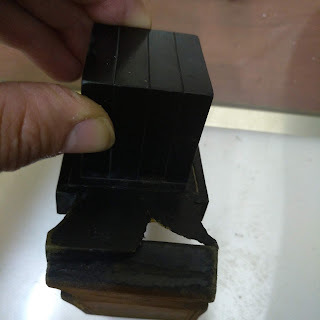 I also would be very happy to make a sale, but I am bound by the rulings of Halacha which prohibit me to sell a Torah for use in a synagogue where the Halacha is not observed. In short I am writing these kind of emails every week. I am very glad that someone has raised this issue. I once spoke to a sofer about this issue and he says he does not sell sifrei torah to Reform but to be polite, he puts them on to sellers in Israel who are not necessarily orthodox or even observant and they help them out. 2) can the referring sofer take comission from such a transaction? I should think the answer to both is negative. I once heard a story about an eirliche sofer who wrote a sefer torah and sold it to a socher. the socher then sold it to a reform shul in chutz laaretz. When the sofer found out he went to thesocher and took him to a din torah. there was nothing that could be done because the torah was already sold and the sale could not be undone. So the sofer contacted the temple on his own and offered to buy the torah back. they refused. He then went and borrowed as much money as he could and put together twice the sum that the shul paid. he offered them to double their money and they agreed to sell it back to him. While his efforts are to be admired, I wonder what the halacha lemaysa would be in such a case? What I would really like to know is if these guys sent samples of ksav? for $45,000 one should get a really top notch sefer. Do they send nice samples at least? or do they figure if they are doing one avaira, they may as well go all the way and take them for a ride and sell them a second hand or really poor quality sefer for that price? There are several sochrim who laugh at me when I tell them that I don't sell to Reform etc. They are always telling me to send the customers to them and they will sell it and give me half the profit. I have always refused. To me it doesn't make that much difference if there would be a heter or not. I know that Sifrei Torah are not treated with proper respect in these synagogues and I wouldn't want anything to do with placing one there. It would be like if I had a heter to help someone else sell my brother into slavery for a commission. A socher ordered a sefer from a williamsburg sofer -paying all along,when the sefer was complete the sofer out of curiosity asked where the sefer is going to , modern chevra was the response.After realizing its going to reform the sofer returned all the money and did not release the sefer. Who knows if these are not sforim that are written by sofrim who had kabala but forgot the halachot or sofrim that listened to tapes and forgot to be mekadesh or klaf without hechsher that can easily be done shelo lishma by mistake,etc etc. After all these sochrim are out for the dollar they save 500$ on the klaf,$150 on the computer using a home computer instead of vaad mishmeres stam and so on. Eli you posted that Vaad Mishmeres Sta"m should do something about it. May I ask who funds The Vaad? The Vaad was to be funded by the computer program!What percent of STa"M that you sell was checked by The Vaad? Firstly, the vast majority of my sifrei torah are now going through computer check at the Vaad in benai brak, they are actually not more expensive than the private guys (for sochrim 1000 shekels for first scan and 600 for second scan)and it inspires confidence for the consumer. I strongly suggest others do the same. We have been through this before, that the Vaad needs some new initiatives and PR work, (perhaps giving hechshairim would be a good way to fund itself), I am not criticising but there is so SO much that can be done. But the fact is that in practical terms they potentially hold the key to critical issues like this one, and in the past have been the voice of authority that most in the stam world take seriously, funds or no funds. I am just wondering...did any of you actually ask a Rov about this? or Mishmeret Stam? or are you basing this all on hergesh? A lot of you raise the point of "they don't treat their Torah with respect", and in some cases I agree, but I think its because of their lack of knowledge than anything else. I have also seen Torah's being mishandled in Orthodox and even Chabad houses, so you can't say its only one group that does that. 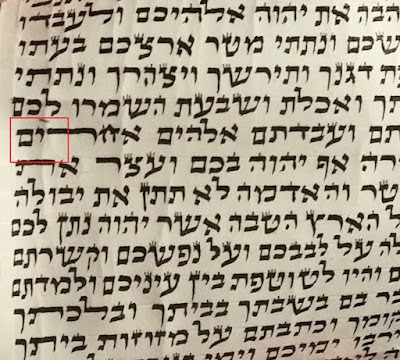 This is a tricky, tricky area - and while the klal is that it is ossur to sell to the Reformim (and this is the msakono in 99% of the cases), there are situations in which, depending on the sefer and the kehilla, the mechira may be OK. A sofer cannot decide these details for himself, though, being nogea b'davar. He MUST get careful hadracha from a non-interested third party. The few occasions in which I have had this issue, I immediately called Rav Greenfeld directly at the Vaad and discussed it with him. He has a VAST amount of knowledge and experience on this issue and can offer very enlightened guidance. I asked Rabbi Dr. Dovid Fink (authoritative posek in Jerusalem) about writing a sefer Torah for reform communities. His psak was that as long as there is no reason to assume that they will handle the Torah inappropriately (ie roll out the Torah along the floor) it is mutar to write for a reform community. My own understanding of this concept is similar to the mitzvah of mezuzah: If a Jew needs a mezuzah on his door, his level of shmirat hamizvot inside his home is irrelevant. Rather, my only concern as a sofer is to provide him with a kosher mezuzah so he can fulfill the mitzvah. In the same way, each and every Jew in the world legitimately has a right to access a kosher sefer Torah, regardless of the extent to which one keeps all the mitzvot. Besides, who really knows? Perhaps seeing that sefer Torah could inspire someone in the Reform community to one day become more observant. During this long and dark galus we should really be looking for more ways to share the Light of Torah with our fellow Yidden. Excluding other Jews from partaking in kosher expressions of yiddishkeit perpetuates the illusion of Separateness, and it runs contrary to fundamental principles the Almighty desires for us to live by. As a great rabbi once said, "the world is like an emergency room and people are fighting over band aids. You never know what it takes to save a life." Seems to me that the same logic would permit selling a Sefer Torah to a Messianic synagogue as well. Is that also permitted or am I missing something? I think the idea of giving a Chezkas Kashrus to a Reform Synagogue that they will treat the Torah properly is misguided. Ceremonies of wrapping the community in the Torah are very common in Reform synagogues like you can see from the link I posted above. I think we have to assume that they will not treat it properly unless proven otherwise. And even then I think you are being mechazek ovrei aveira by providing a Reform synagogue with a sefer torah. You cannot compare selling the holiest item in our religion to a heretical sect to selling a mezuzah (a much lower level of kedusha) to an individual Jew who is a tinok shenishba who wants to perform the Mitzvah. Dayo lavo min hadin lihyos kenidon. I think you are missing something... Messianic "synagogues" are preaching Christianity and such..not even close to what Reform preaches (tikkun olam, chessed, tzedakkah etc), I do not think it is even comparable. From what I have seen, the Reform Rabbi's really look up to the Sofer, and if you would maybe take the time to talk to them and teach them, they would understand how a Torah should be treated. Truth is, the ones I have dealt with, would not "unroll a Torah around the community", and I think this is isolated cases. I agree wholeheartedly with R' Pesach. Tikun olam? What exactly is that? Is it something from Shulchan Aruch? Maybe you are referring to the pasuk, "letaken olam bemalchut Sha-dai"? That is talking about building the Beis Hamikdash, returning the Sanhedrin etc. Do the reform believe in that? Tzedakah, Chesed? Do Christians not believe in that? It doesn't really matter if a particular religion has aspects of the Jewish religion. Actually they all do! So what? If they don't believe in halacha, it is kfira. That is what I found with 5 minutes of google searching. I have some degree of familiarity with Reform Jews. My father received "smicha" as a reform rabbi from Hebrew Union College in Jerusalem and Cincinatti. My mother grew up in an Orthodox household in Cleveland with her grandfather (my great-grandfather, HaRav Yisrael Porath ztz"L) being the Rav HaRashi of Cleveland and head of the Union of Orthodox Rabbis. Rav Porath had friendships with 'rabbis' and other community leader across a wide spectrum of Jewish observance and never once did that stand as an issue to his involvement with them. So you see, I grew up knowing both worlds but the primary background that I had as a child was from the religious day school I attended up until college with a more traditional yet reform environment at home. Yes, there are differences between non-observant and Observant Jews with regard to their shuls but according to our holy Torah there is no such thing as "Orthodox" "Conservative" and "Reform" Jews - just Jews. It's a simple as it is. All Jews are required by the Torah to be involved in mitzvos. The degree to which you, I, or anyone else relates to that varies across a broad spectrum. P'shita that one should do their research if commissioned to write a sefer Torah. One should know for whom they are writing. Yet to lump together a group of people into one category claiming that they're all alike is a bit extreme, in my opinion. Don't trust everything that you find on the internet. Like everything else in this world, it is a mixture of good and bad, truth and lies. Better to trust our holy Chachamim who, in masechet Brachot 22a say that just as fire cannot become impure, so too, the words of Torah cannot become impure. Ultimately it is our task to spread the light of G-d to the entire world, as Reb Aaron quoted the Aleinu "l'takken olam b'malchut Shakai..."
How can we ever merit this ultimate fixing if we can't even give it over yet to our fellow Yidden who maybe aren't "Jewish enough"? If the fire of Torah cannot be impure then we should use it to warm the hearts of those who are being left out in the cold. Again I'm not talking about Messianic Judaism or far out extreme examples that are misrepresented as the norm of anyone less than 'charedi'...I'm talking simply about members of our tribe who call themselves Reform because maybe they don't know any better (or even care). So whose gonna show them? Who has enough rachmanus on themselves and on others to open up and share something a little deeper with those who really need it? Depriving any Yid the opportunity to come close to a kosher sefer Torah is like refusing to feed a starving child on the basis that the child does not have the daat yet to do it himself. I very much support these statements Reb Pesach. Depriving a Jew of Torah basically prevents them from coming closer to Hashem - and many people will pass through non-Orthodox to come to a more Orthodox way of life. Halachically as was said above in the p'sak, it is perfectly acceptable to sell to sell to a non-Orthodox community or fix their sifrey - not all are content to just have a legible torah but actually want the kedusha of kasher one. On the other hand, I have met fairly ignorant orthodox Jews who do not understand when their sifrey are merely legible and not kasher. I do share the concerns above about some communities mistreating their sifrey - in which case sofrim should be educating them (orthodox or non-orthodox). Also, I am familiar with both the Reform and Liberal communities in the UK and they would never act this way, so I think it very important to distinguish between American Reform and British Reform (which is more conservative) when making very sweeping statement about how communities treat their sifrey as that is potentially lashon harah. Actually the first link I posted in my first comment was from a Reform congregation in the UK. No it isn't. Reb Aaron - you are mistaken. This is not Falmouth in the UK but America MA (is that Maassachusets?) - it is part of the Union of Reform Congregations where as the British Reform is the Reform Movement. See the need to be very careful about statements made. Again, why doesn't what you wrote justify selling a Torah to a Messianic congregation. Most of the Jews in such congregations are just as well meaning and uneducated. Don't get me wrong, my point in my comments is not to judge Jews who call themselves reform, or even messianic for that matter. I am a Lubavitcher and I believe strongly that 99.9% of such people simply don't have any idea of what Yiddishkeit is about and we need to reach out to them. In fact there are several families in California who were Reform and one who was Messianic who are frum today do to the outreach work my wife and I did when we were there. That is not the issue here. The issue is selling a Sefer Torah to a Reform Temple which is a heretical institution. Our Rebbe said that we must bring Jews close to the Torah not the Torah close to Jews. We should encourage reform Jews to come into legitimate synagogues and hear the Torah read, but selling them a torah to abuse is wrong. I think the difference here is that for a messianic community when they would read the torah they would have a very different conception of what G-d meant when they read one of the holy shemot. Whereas in a non-orthodox community they are quite obviously praying to and meaning Hashem and no other, so there is a quite large difference here as to the usage being put. It is perhaps a bit like having to burn a sefer torah written by a min (heretic) as the assumption is that the holiness of the Names of G-d has been corrupted by the belief of the min. A year or so ago, I did come across a messianic 'scribe' and managed to put him off writing a torah as he had plans to do so. I did explain to him about the fact that he could not write a kasher torah because of this very reason and he did eventually stop his project. As a Lubavitcher, you should maybe understand that you should be mekarev them, and educate them on how to properly treat a Torah...you may be surprised by the result. Elad, I am afraid that you are mixed up regarding this. A basic tenet of Reform Judaism is that Torah was made up by humans. I stress again that none of this has anything to do with our approach to individual Jews. Most Jews in a Reform or Conservative synagogue have no clue what the actual tenets of the movements are. I am talking about selling a Sefer Torah to these heretical institutions. As a Lubavitcher, our Rebbe taught us never to compromise in our principles for the sake of Kiruv. It doesn't pay off in the long term. I know many reform "Rabbi's" and they do not hold of " Torah was made up by humans" theory. The average Reform rabbi believes that the Torah was made up by man and therefore it is basically good advice but not binding. If you know of individual Reform rabbis who believe in Torah MiSinai, and yet they remain reform and don't follow what is written in it, then they are worse off than the average Reform rabbi who at least has integrity. First, I cannot speak on behalf of ALL reform or conservative rabbis. From personal experience, each one has unique beliefs about Gd and Torah. The main difference that I see between our perspectives, Rav Aaron, is that you experience the issue as one where the sofer is selling to an organization/institution. In that regard I would wholeheartedly agree with your contention. Afterall, such an institution contradicts the tenants of an organizational perspective of Judaism. Chabad is an organization within Judaism that uses a specific method of outreach and has various boundaries based on what is acceptable and what is unacceptable. To assert that this approach (as successful as it is) reflects the only way that should be acceptable for all Jews is inaccurate. If I recall from the years I spent in a Chabad House, the Rebbe was quoted often as saying that "a Jew is a Jew" - beyond labels or boxes (or institutions) that we put ourselves in. That is the approach that I am taking on this issue: I'm focusing only on the Jews themsevles as part of Am Yisrael -- NOT the institutions by which they are (IMHO wrongly) defined. I agree with the institutional approach from that perspective. It makes sense and it is logically founded on the principles of the organization. Yet when one can see beyond those boundaries and definitions of the organization, all that's left are the neshamas of the people in question. Rav Aaron you mentioned that the Rebbe said the point is to bring Jews to the Torah but not the Torah to the Jews. It is valid and it has its place. Still there is another face (among the 70 faces of Torah). 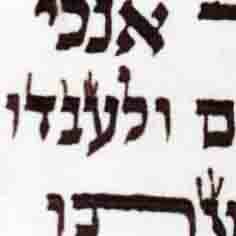 "Torah lo bashamayim hi" (Devarim 30). There are certain things we have to learn to do for ourselves. Sometimes, when a person is sick they go to the doctor. But sometimes a person is so sick that the doctor has to make a house call. We live in an age where all of us 'holy doctors' have our clinics with the doors wide open, but which one of us is really willing to make the house call? Which is more important, the medical practice or the patient whose life has to be saved? What's it really about? All I'm getting at is that it must go beyond the institutions and organizations of Juda-"ism" and directly impact the Jewish soul. With our holy craft of Safrus we have the opportunity to show others why this is such a sacred part of our heritage, but if all we're giving them is, "sorry, you can't do this and you can't do that" and "I'm afraid you're not religious enough for me to help you" then we're missing the point of why Gd has us here in the first place. Of course we must be halachic and know where to draw the line but those lines are sometimes blurry. When there exists a legitimate way to macshir a mezuzah, you do it. Do you know why most Jews aren't making it today? I hate to say bad things but it's because we, the representatives of the religious establishment (or the "Gatekeepers to G-d") aren't giving it to them. Our Reform and Conservative brothers and sisters are looking for something so deep and all we're giving them is a bunch of rules about what they can and can't do. They want the taste of what a real Shabbos is all about and all we're giving them is chicken soup and gefilte fish. No wonder they're not interested. It has to be so much more than that. I'm grateful for this discussion with its various viewpoints. In honor of this week's parsha, parshas korach, which is rife with arguments, rebellions and fighting, I bless us that we can celebrate our diversity of opinions as they truly are "L'shem Shamayim" and hope they bring us all closer to the Ultimate Truth for which we so passionately yearn to know. Thank you for welcoming me to this blogsite and I hope we continue to share more viewpoints that get us to question our own beliefs in the search for something higher. R. Pesach, this post is not about Jewish outreach. It is about whether or not is is permissible to sell a Sefer Torah to a non-Orthodox synagogue. That is all I have been commenting on. Nothing I have written is meant to have anything to do with how we approach individual Jews. I generally don't sell Torahs to individuals in any case whether Orthodox or not, unless they intend to place it in a synagogue. Your 100% right. I'm excited to have finally found a forum for safrut and the wide range of discussions and events that are shared here. Apologies for the tangent.